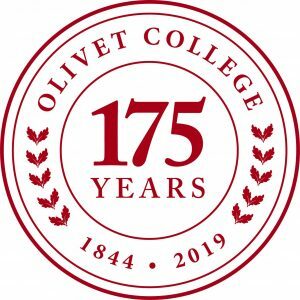 Olivet College will commemorate its 175th year with a special Founders’ Day celebration on Feb. 20 at 1:30 p.m. in the Mott Academic Center Auditorium. The program will feature student presentations on the College — past, present and future. President Steven M. Corey, Ph.D., will also share remarks. Following the celebration in the auditorium, there will be a reception at the Hosford History Center and Lawrence Archives, which has recently been renovated to house the Olivet College archives. Attendees will have the opportunity to view the new “Students Through Time” displays. Light refreshments will be served. Weather permitting, there will also be a ceremony at the bell in the Olivet College Square at 9 a.m. followed by a visit to “Father” John J. Shipherd’s gravesite.